Is your Instant Pot collecting more dust than meals? Are you hesitant to cook dinner on these warm summer evenings, simply because you dread turning on the hot oven and spending all your time in the kitchen? Try out some of these Instant Pot recipes! They are quick and easy to assemble, have fresh ingredients, and there is a variety to choose from so you can be sure there is at least one your family will approve. Plus, these Instant Pot recipes mean less time in the kitchen and more time to spend with your family! 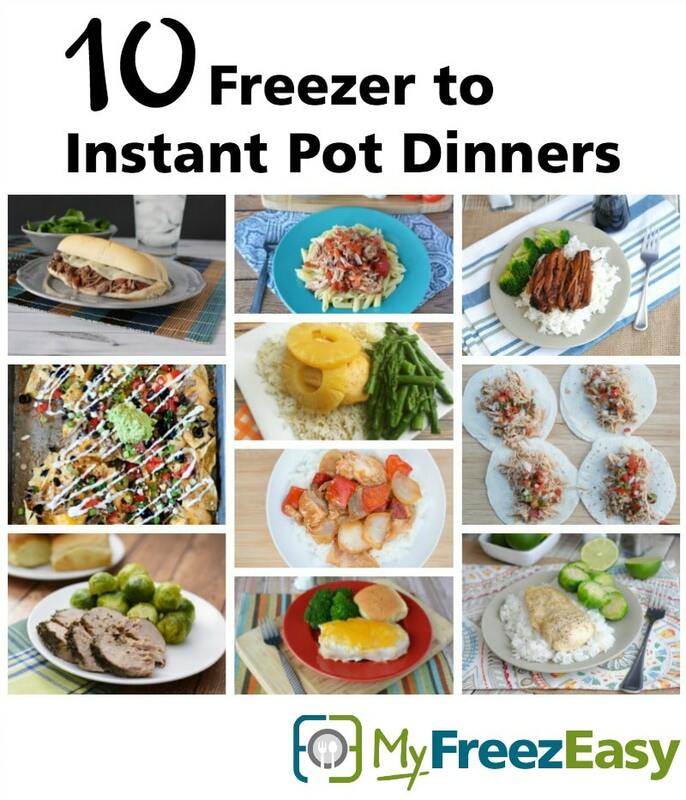 If you are interested in getting TEN Instant Pot recipes into your freezer in an hour, MyFreezEasy can help you make that happen! And happy Freezer to Instant Potting! !